Calla Larkenwood wants nothing more than to be a guardian, but her overprotective mother has never allowed it. 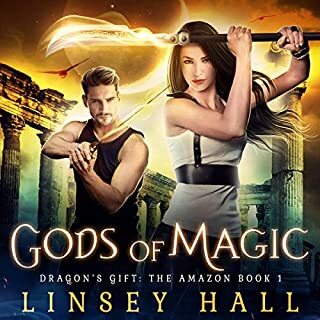 Battling fae creatures is too dangerous a job for a young girl, and there's that pesky magical ability she needs to keep hidden from the Guild. How can she do that if she's working right under their noses? 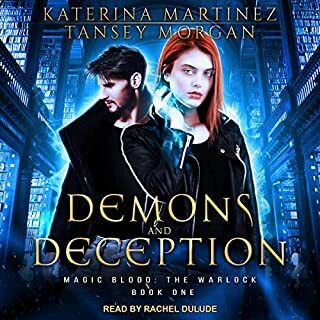 When circumstances change and Calla finally gets to follow her dream, she discovers that guardian-trainee life isn't all she hoped it would be. Her classmates are distant, her mentor hates her, and keeping her ability a secret is harder than she thought. Then an Underground initiation game goes wrong, landing Calla with a new magical ability she can't control. She needs help, and the only way to get it is by bargaining with the guy who just discovered her biggest secret. But the ending... Just one word has me excited to get started on the next one. Maybe it will pick up. But even if it doesn't, I have to see how this plays out. Firstly, I'd like to say I absolutely loved the first 3 books in this series. I've listened to those over and over to the point of memorizing some favorite scenes. So I came into this book with very high hopes, excited to see those characters continue on. Thus it was with some disappointment that I initially struggled through this volume. Our protagonist was pretty annoying to me during my first pass, coming off as a selfish brat, making me unsympathetic to her plight. I thought Vi was so much better as a main character and perhaps I was spoiled with Ryn from past books as the perfect love interest so it was a hard act to follow. Tbh Vi and Ryn were the highlight for me during my first listen, being a huge fan of the previous three books. I get that they were supporting characters, but I was kind of left hanging, wanting to know more of what their past ten years was like. Speaking of which, I do NOT suggest reading this novel without reading the first three in the series. While you can probably still enjoy it, the background story is so integral to this book, as well as the rest of the Creepy Hollow series. Our POV here has an amazing ability that we were introduced to way back in the very first book and naturally the summary of bits and pieces of three full novels just barely scratched the surface. As for the mysterious hot tattoo guy I guessed who he was right away. That said, I found this much more enjoyable my second time through. 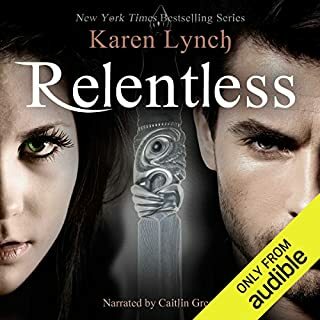 After finishing the series I went back through all the books (like I always do for any good audiobook) and I really loved how foreshadowing of the last three Creepy Hollow novels can be found woven in this one. You'll want to get the next one right away when you finish this one (can someone say cliffhanger?) so go ahead and just get all nine to binge over the holidays! IN ENTERS RYNNS LITTLE SISTER CALLA, WITH A LOT OF DRAMA, AND ADVENTURE WITH A SECRET THAT THE FAERIE IS HIDING! Loved it so much I finished it in 1 day. The series is great can't wait to read the rest. 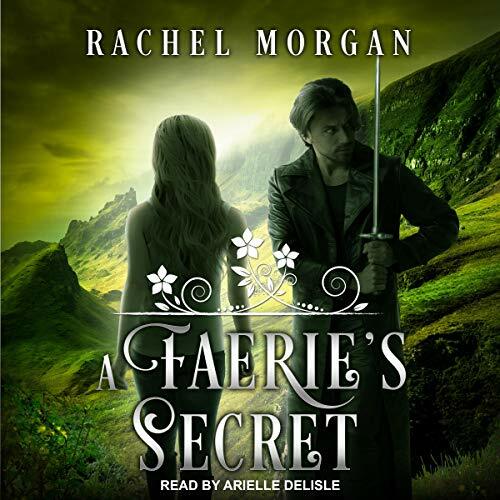 Arielle did a great job with the narration, and Rachel delivered once again. I'm having a hard time writing a review without including spoilers, so I'll just say I loved seeing all of my favorite characters from Calla's point of view as she gets her start in semi-adulthood. I absolutely recommend this one. 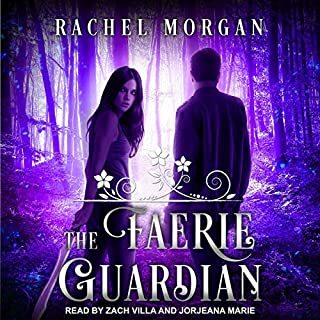 I quite enjoyed the first 3 books of the Creepy Hollow series, so I was a little disappointed with the loss of "the magic" that I have come to expect woven into these 'faerie tales'. Faerie's shouldn't be living in faerie subdivisions, and faerie high-rises, and dealing in a fiat currency, and making monetary donations. They are magical beings, not humans, and I feel as though too much of a parallel existence has been drawn between the two realms; that some of the magic has indeed been lost. 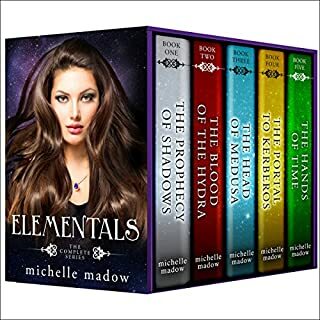 I will likely continue on to book 5, when it is released, but the if the author strays any further, I believe I will give up on the series completely. amazing story with lots of plot twists and very intense unraveling to leave you craving more! I cannot put the Creepy Hollow books down have read 4 of them so far and have not been disappointed. Keep them coming.